Bawd Hall01900 828189work Self-cateringBawd Hall is a luxury country house, sleeping ten, located mid-way between Keswick and Buttermere, in the unspoilt Newlands valley. It is beautifully set with great views and walks right out of the door. Inside, it is furnished to a very high standard and is very comfortable, even in the worst weather, with full central heating, double glazing and an open fire. 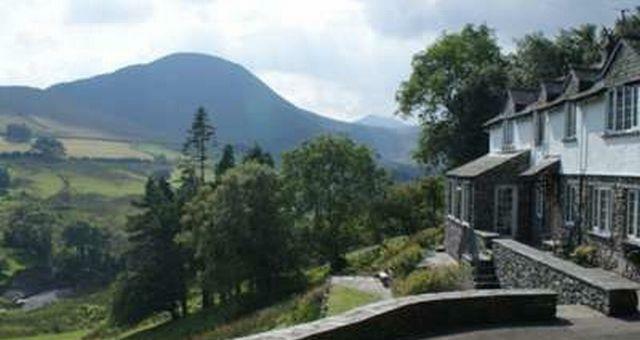 Keswick is 15 minutes drive away and boating facilities are available at nearby Derwentwater. The large kitchen/dining room is well-appointed with oak-fronted units and hand-made solid oak furniture seating ten people. The lounge is very large with ample comfortable seating, a TV, DVD player and a hi-fi. Adjacent is the garden room with full-width picture window. 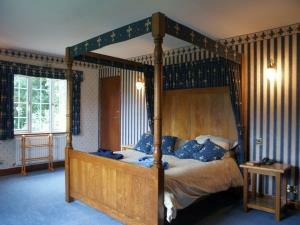 Upstairs are two super-king bedrooms (one with four poster) and two twin bedrooms. There is also a downstairs double bedroom. All the living rooms and bedrooms have views over the valley. There are four full-suite bathrooms. Three are upstairs (two en-suite) and one is adjacent to the downstairs bedroom. Other facilities include a utility room, drying room, lockable bike storage, table tennis, a barbecue area and ample parking. Bawd Hall offers weekly bookings starting on Friday and sometimes short breaks. Many thanks for your review. It's always good to see guests taking every opportunity to set off on foot - in this case, immediately after arrival. 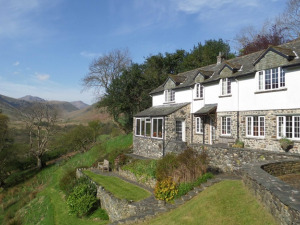 Bawd Hall is a luxury country house, sleeping ten, located mid-way between Keswick and Buttermere, in the unspoilt Newlands valley. It is beautifully set with great views and walks right out of the door. Inside, it is furnished to a very high standard and is very comfortable, even in the worst weather, with full central heating, double glazing and an open fire. Keswick is 15 minutes drive away and boating facilities are available at nearby Derwentwater. One travel cot and 1 high chair available. Children welcome from any age. From M6 jct 40 take A66 towards Keswick and Cockermouth. At Braithwaite, turn left onto B5292. Take the first left, signposted to the Newlands Valley and Buttermere and turn left again shortly afterwards over the bridge. Continue until you arrive at Bawd Hall, after about 10 minutes. The nearest railway station is Penrith. From Penrith station there is a regular bus service to Keswick. From Keswick you will need to take a taxi. Two suction handles and a bath seat are available on request for use in the ground-floor bathroom.